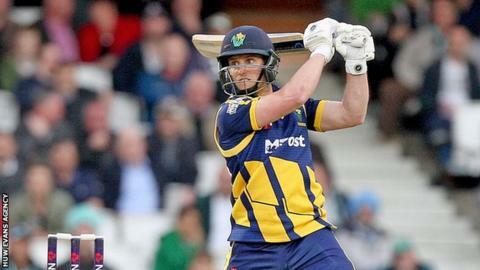 Glamorgan have opted for Ben Wright in place of James Kettleborough for Sunday's County Championship Division Two match against Northamptonshire at the Swalec Stadium. It is the Welsh county's first change to their top-order batting for a Championship match this season. Will Bragg will move up to open the batting alongside Jacques Rudolph. Ruaidhri Smith or Dean Cosker will come in for young all-rounder David Lloyd, who has a hamstring injury. New recruit Kettleborough has only managed one half-century in the opening five games and pays the price for that. Both Glamorgan and Northants have won one and drawn four in their opening five matches in the Championship, with the visitors two points ahead in third place in Division Two.